After the pomp and circumstance was accomplished, the silliness began. Reportedly the Senate ran an hour behind on their duties to swear in Senators though no explanation was given. Lieutenant Governor Cyrus Habib had his Nancy Pelosi moment when he declared he did not feel safe because the Senate had not banned concealed carry weapons from the Senate Gallery. Symbolism accomplished the legislators got down to the business of how to capture that most prized and coveted thing, other people’s money. 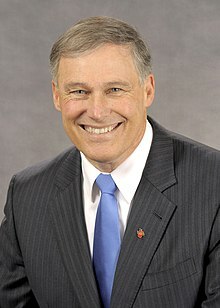 Governor Inslee began in earnest this task and has induced the Office of Financial Management to request through Senators Rolfes and Hunt, Senate Bill 5129 http://lawfilesext.leg.wa.gov/biennium/2019-20/Pdf/Bills/Senate%20Bills/5129.pdf entitled Increasing revenues for the support of state government. 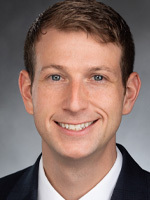 In order to make this a more efficient grab, the companion, House Bill 1343 https://app.leg.wa.gov/billsummary?BillNumber=1343&Chamber=House&Year=2019 has been offered through Representatives Tarleton, Dolan, Valdez, Ormsby, Wylie. This bill Imposes an Excise Tax on Capital Gains, and is introduced with the premise that it is a privilege to sell or trade a long term capital gain. “Beginning January 1, 2020, a tax is imposed on all individuals for the privilege of selling or exchanging long-term capital assets, or receiving Washington capital gains. The tax equals nine percent multiplied by the individual's Washington capital gains.” This bill of course is instantly offensive to many in Washington State who believe it is a right not a privilege to sell or manage their assets. Increasing the Business and Occupation Tax Rate on Certain Services is an additional lofty goal to be imposed on what the bill language refers to as “the taxpayer”. This bill and its companion impose a nine percent tax on the sale or exchange of long-term capital assets, and will increase the business and occupation tax rate on service-related activities from 1.5 percent to 2.5 percent. If you like your money more than those in state government, call your senator and representative or the Olympia hotline 1-800-562-6000 where a very nice lady will record your opinion. Please be kind to her, she did not write these bills, and will dutifully record your message for the governor or your legislators. I have thanked her in advance for her work processing your calls and advised her to harden her ear!